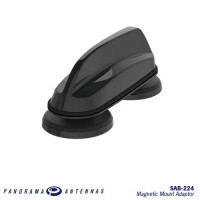 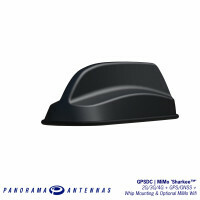 The SHKG has a compact OEM style sharkfin housing that contains 2x2 MiMo antenna function for 4G/3G/2G and an active antenna for GPS/GLONASS/Galileo/Beidou with 26dB gain LNA. 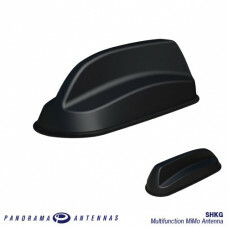 In order to maximise functionality versions of the SHK[G] are available that add either 2x2 MiMo or 3x3 MiMo antenna functionality for 2.4/5.8GHz WiFi. 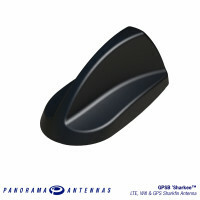 The antenna does not require a metallic ground plane and maintains a high level of performance even when mounted on a non-metallic surface. This high-performance antenna offers multiple antenna functions while remaining discreet and is suitable for (overt/covert) applications where a cost-effective effective, efficient and robust antenna is essential.